Pie-in-the-sky or a genuine threat? A week after draft proposals that would surrender a large area of Norfolk to the North Sea were uncovered, what is the mood of the communities that would be affected? JON WELCH reports. On a warm spring day with sunshine glinting on its gently rippling Broad, there can be few more pleasant places to be than Hickling. Beneath the village’s tranquil veneer, however, there is anger and fear. A week after the EDP revealed how conservation bosses were considering proposals that would ultimately involve surrendering the village and at least five others to the sea, feelings are still running high. The anger, it seems, is directed not so much at the publicly-funded bodies, including Natural England, the Broads Authority and the Environment Agency, that have been discussing the scheme, but towards the EDP for breaking the news that the proposals were back on the agenda. In Hickling and surrounding villages, there is an altogether understandable refusal to believe that such a scheme could even be entertained, even though the bodies involved admit that while discussions are at an early stage, they have to be prepared to think the unthinkable. “Who’s going to buy a house here now? What’s it going to do to property values?” asks one villager, bitterly. John Tallowin, of nearby Willow Farm, is sceptical that the government would ever approve proposals to allow the sea to flood the area. “I don’t think they are foolish enough to allow it to happen and for all the hard work that our forefathers and other agencies have put in to go to waste,” he says. Eric Lindo retired to the village 12 years ago and now chairs the Stalham with Happing Partnership, which works to regenerate an area comprising some 20 parishes in this beautiful corner of north-east Norfolk. “It’s very much a talking point,” he says. “I don’t think I have met anybody since that article came out that hasn’t talked about it. It succeeded in bringing to everybody’s attention the lack of government understanding of yet another threat to rural life. Already there are stories of house sales falling through. “It has made people think twice about moving into the area,” says Mr Lindo. The troubling proposals were first drawn up in 2003 by the Environment Agency and English Nature. Little-known even then, they had been virtually forgotten about until six weeks ago when they appeared in a Natural England-authored report as the most radical of four options for dealing with climate change in the Broads. Mr Lindo doesn’t agree with those who say the area cannot be protected from rising sea levels. In Stalham, no-one is keen to see the town get an “on-Sea” suffix. Loading up her shopping in the town’s Tesco store, Colleen Ford is horrified by the proposals. Just a few miles away in Ingham, people are more used to living with the threat of the sea. Frank and Kerri Knights live and work at Causeway Farm, where they run a butcher’s shop. “We’re happy here – when it’s lapping over the fields, that’s when we’ll worry,” says Mr Wright. “People in the shop have been worried about house prices. They are worried that prices will halve, and even if they do whether anybody will touch them. A leading coastal campaigner and a Norfolk MP will host a trio of meetings in the next two weeks to give the public a voice in the debate about the future of the northern Broads. Proposals for the future of the waterways have already been discussed behind closed doors at a conference in Norwich on climate change, organised by Natural England and attended by representatives of the Environment Agency, Broads Authority and Norfolk County Council, plus other organisations. But the public needed a forum to make their feelings known, said Coastal Concern Action Group co-ordinator Malcolm Kerby. 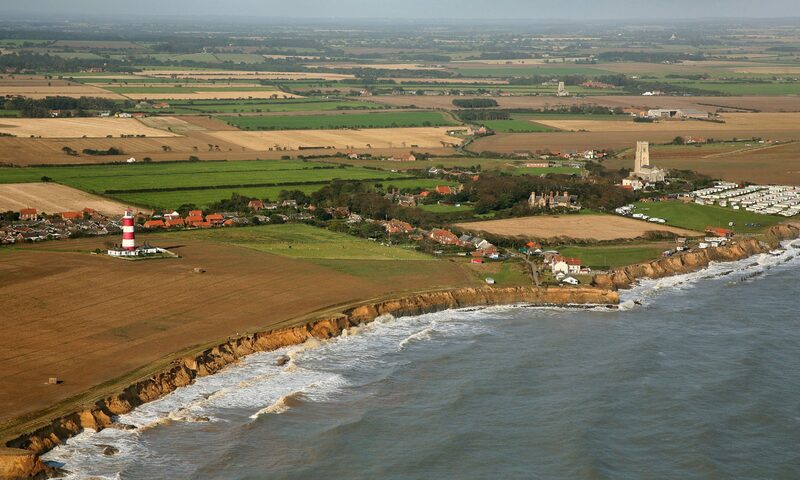 Although some people might perceive CCAG as a Happisburgh-based group with a main focus on cliff erosion, it has built up a reach into several government departments and is now an internationally-recognised body. “There has been a massive response in the last few days since the piece in the EDP,” said Mr Kerby. “We need to strike while the iron is hot and give people the chance to say their piece. This can then be fed back up the chain via us and the MP. “We need to try and get an air of calm back to proceedings and explain to people that horrendous though this proposal may be, it is purely the wish list of a government quango, a quango which does not have the ultimate power to put it in place. “We cannot let them keep banging on about this without consulting with the stakeholders, which means us. Mr Kerby said people needed to vent their anger at the authorities responsible for shaping coastal defence policy – Defra, the Environment Agency and Natural England – rather than other organisations such as the EDP who were simply reporting what was being suggested. The meetings will be held at St Mary’s Church, in Hickling, on April 8; Potter Heigham village hall on April 9; and Sea Palling village hall on April 15. All meetings start at 7.30pm and will be open forums. Re the proposed deliberate flooding of the east coast area of North Norfolk. A solution has been found, thanks to some extent to a story carried by the EDP. What we need to do is to search the proposed flooded area for one of the following: great crested newts, rare orchids and/or endangered butterflies. When found, Parliament will ensure that no work is carried out in the area of the flooding as to do so would be against the law and as such they would have to sue themselves. It seems strange that the government could go ahead and affect the lives of thousands of people by riding roughshod over public opinion but as soon as they disturb a newt, flower of butterfly they would be breaking the law.